Seattle University Relay for Life is made up of passionate students who work together with a mission to fight cancer. In addition to their ongoing fundraising efforts, the group recently teamed up with Campus Causes to raise even more for their cause. We sat down with Shelby Hackney, Event Co-Lead of Seattle University Relay for Life, to learn more about their group and how Campus Causes is helping them reach their fundraising goal. CC: Can you share a few words about the cause and what inspired you to be involved with Relay For Life? SH: I’ve been a part of Relay for life for 7 years, and I’ve loved every year! Relay is an American Cancer Society fundraiser that raises money for cancer research, treatment, prevention, and education. It is a pivotal event in the fight against cancer, and it has already saved countless lives. Some of my favorite things about Relay are the programs that it funds. For instance, Road to Recovery provides free transportation to and from treatment for cancer patients, and Hope Lodge provides free housing for patients who need somewhere to stay while they get treatment out of town. To find out more, visit cancer.org! I became involved with this wonderful fundraiser when I was in high school. My mom had been in remission for about 2 or 3 years when I learned about Relay, and I fell in love with the event immediately. Since then, I have lost several loved ones—including my mom—to cancer, and I Relay to fight back so that we will have a world without cancer! CC: When did Seattle University begin participating in Relay For Life and what goes on behind the scenes to prepare for such a big event? SH: This is Relay for Life of Seattle University’s fifth year as a stand-alone event! To plan, we start about a year out and establish a dedicated committee to ensure that the event will be a big success. There are two Event Leads, and the committee is fifteen people total. We also have a wonderful staff partner from the American Cancer Society (ACS), who helps connect us with resources and opportunities to raise funds and carry out the mission of ACS. Each committee member has a specific role and is an expert at what they do. For instance, our Survivorship Chair is Nicole Freitas, and she works with outside businesses and individuals to secure financial contributions and in-kind donations. We could not be more proud of the committee and all they hard work they put in every week! CC: For those who have not participated in a Relay For Life, what is the format and what can a participant expect to experience before, during and after the event? SH: For those who have not experienced Relay, all they need to know is that it is a day full of great company, entertainment, on-site fundraisers, and supporting the mission of the American Cancer Society. Everything that happens at a Relay for Life event is intentional, for it’s meant to 1) educate folks about cancer prevention and 2) raise funds so that the American Cancer Society can continue its mission of saving lives. We have three ceremonies at our event. Our Opening Ceremony helps us fight back by celebrating our cancer survivors and caregivers. The Luminaria Ceremony helps us to remember our loved ones who we’ve lost and honor the battles of those who have fought or are currently fighting. Last, the Closing Ceremony helps us fight back by revealing our fundraising total and sharing information on how to stay involved in the fight against cancer. CC: With all the different fundraising activities which occur on campus, what steps do you take to raise as much awareness and participation as possible? SH: There are so many fundraisers we do before SURFL! We have Relay Rallies on campus often, which is basically just a fun party we host in the student center with music, food, and games! Another fundraiser we do is to host percentage nights at local restaurants and bars. For instance, we’ve worked with local pizza places, Chipotle, and several local bars. In fact, this Monday we’re having another fundraiser at Lagunitas Brewing Company! We are so grateful to work with so many companies and organizations who are also dedicating to ending the pain and suffering caused by cancer. Because there are so many of these, we have a strong emphasis on marketing. The Director of Marketing is Rachel Larson, and she works tirelessly to promote our event with the Marketing Team. We try to move away from the outdated method of simply passing out flyers for a few reasons. First, it’s not as effective on its own. Second, it can be very wasteful of paper. Instead, we focus on having a strong social media presence, using word-of-mouth methods, emails, and other methods of getting the word out. CC: What additional unique forms of fundraising do you utilize to raise money? SH: In addition to the ones I mentioned, we encourage individuals to raise as much money as possible. For instance, our Logistics Chair, Claire Grant, is allowing her friends to duct tape her to a fence to raise money. That’s quite a bit of dedication, if you ask me. Additionally, we like to incentivize participants to raise money by sharing the mission behind the ACS, and we also offer up prizes for fundraising. For instance, tomorrow we are having a spa day for all the participants who raised $30 within a certain time frame. Last, we are trying out another new fundraiser this year, which is Campus Causes. CC: What drew you to Campus Causes as another tool to help raise more money? 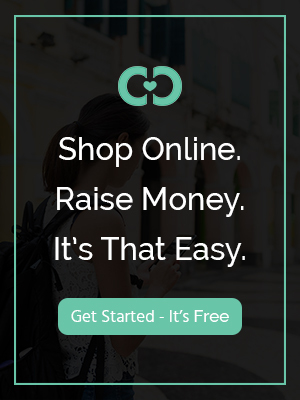 Can you provide any helpful tips or ideas to other groups looking to leverage “Shop-to-Raise” fundraising? SH: What drew us to Campus Causes was the fact that it’s non-traditional and the fact that it’s easy. Like I mentioned above, we like to be creative with our fundraising and with our marketing, and Campus Causes helps us do so. Likewise, people do online shopping all the time, so why not shop and give back at the same time? We have loved using Campus Causes and will likely continue using it in future years. One major tip that we’ve found useful is that we have purchased essentials through the website. Each year, we buy things for our event, and this year, we decided to buy them through Campus Causes to bring some back some money for our event. It has worked really well, and we are thrilled to be a part of this campaign. We’re excited to partner with Relay for Life of Seattle University to help them raise money for their important cause. Click here to support their efforts via Campus Causes.